Mr. Vasiliadis is an attorney with the law offices of Vasiliadis Pappas Associates in Bethlehem, Pennsylvania. His practice is focused in the areas of Trust & Estate planning and administration, Long-Term Care Planning and Asset Protection as well as Veterans’ Pension Benefits Planning, and special needs planning. Mr. Vasiliadis is a graduate of the Pennsylvania State University, where he received his Bachelor’s degree in Political Science. A graduate of Widener University School of Law in Harrisburg, he practices in the greater Lehigh Valley area and surrounding counties. 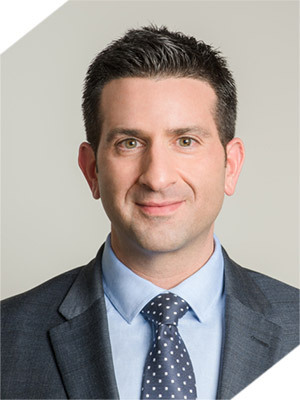 Prior to his practice of law, Mr. Vasiliadis worked as a corporate Medicaid Specialist for Genesis Healthcare Corporation., the nation’s largest provider of nursing, rehabilitation and long-term care services. His diverse career experience provides unique perspectives and a deep understanding of the many concerns that seniors face, as well as a breadth and depth of professional expertise to effectively advocate for them. As an expert in his field, Mr. Vasiliadis frequently lectures in the community and writes on topics relevant to Pennsylvania seniors. Stay up-to-date on news, workshops, speaking engagements and more.